People are quick to say that the reason we are so overweight in this country is because we eat too much and don’t exercise enough. But if that was so, how do you explain the epidemic of obese 6-month old babies? Are they not spending enough time on the treadmill? Any theory that tries to explain the obesity and diabetes epidemic must also be to explain this as well, or it’s not a fully accurate theory. Let’s look at what actually does explain this.Everyone knows that fructose is the sugar found in fruit. And if it’s found in fruit it must be safe, right? This misconception is being perpetrated by the food industry and we are falling for it, simply because most people don’t know the details or the impact. Let’s take a look at those details. Fructose is the simple sugar found in fruit. Glucose is the simple sugar that our body runs on, and is the result of carbohydrates being broken down. Sucrose (white table sugar) is a 50-50 makeup of fructose and glucose. So the first thing to remember is that white table sugar also has fructose in it. High fructose corn syrup (HFCS), which everyone demonizes, is a combination of 55-45 makeup of fructose to glucose (typically), and since fructose is quite a bit sweeter than glucose, that little bit makes HFCS sweeter as well. You’ll see in a moment, though, why white table sugar and HFCS should be viewed with the same suspicion. The corn industry has a campaign that argues that sugar and HFCS are basically the same, which is accurate. But they’re arguing that they are both safe, and that WE cause health problems because we all eat too much of both. The 1986 FDA report said sugar was safe when consumed in the current amounts, which, at the time, was an average of 40 pounds per year of added sugars. I would be delighted if people were eating 40 pounds per year — the average these days is 140 pounds. The health problems we see are appearing because of the overload and because fructose metabolizes differently (and with different damage) than glucose. We’ve been trained to think that sugar merely causes your teeth to rot, makes PMS worse, and makes people fat. But those things are mere inconveniences compared to the bodily damage glucose and fructose do — some of the results are the same for the two sugars, and some are substantially different. You could eat the same amount of calories for glucose and for fructose, but the health consequences are QUITE different. Let’s talk about how fructose behaves in your body. For starters, it’s not at all like glucose — it doesn’t trigger insulin at all, but goes directly to the liver to be metabolized. The term “low-glycemic” is often used with high fructose products (like agave nectar) which is totally accurate — it doesn’t put glucose into the bloodstream at all because it has no glucose; it’s all fructose. That doesn’t mean it’s safe, though. Because it doesn’t trigger insulin, the body can’t tell that it’s full. And fructose also suppresses leptin (which would tell you if you were full) and does NOT suppress ghrelin (which makes you think you’re hungry). Fructose has you eat more. Fructose is also seven times more likely than glucose to make AGE’s — Advanced Glycation Endproducts. They are named AGE’s for a reason — they cause you to age faster. You know how if you cook sugar long enough it caramelizes? That’s basically what happens in your body with glucose and fructose. When proteins in your body are caramelized like that (glycated), they are permanently damaged and can never recover. AGE’s are also implicated quite strongly in Alzheimer’s, cardiovascular disease, stroke, cataracts, nephropathy, heart attacks, atherosclerosis, arthritis, etc. The list is quite long. This is one of the main reasons diabetics have such health problems. The liver takes the biggest beating in the metabolization of fructose, even more so if the fructose coming into the system is in liquid form (juice or soda, for example), as it hits the liver all at once (versus an apple, which has fiber to slow the fructose down). The chemical reactions in the liver result in a few things, one of which is higher uric acid (which increases inflammation, and also causes high blood pressure), and the other of which is a fatty liver. A fatty liver is one of the major causes of insulin resistance, as the liver is the first tissue to become resistant. Studies are being done at the University of California to see how quickly a high fructose diet can cause a fatty liver in adults. The researchers are estimating that, with three juice or soda drinks a day, it could be as quickly as in two weeks. The research hasn’t been released yet, but it has already been shown in lab animals. This explains why we’ve seen non-alcoholic fatty liver disease in 12-year olds in our office. The implications start to become staggering, because, between the damage that simply glucose and insulin do from high-carb diets, the addition of fructose damage is starting to be linked to the shocking increase of obesity and diabetes in the last three decades. In damaging the liver, this speeds up the process of insulin resistance and metabolic syndrome. Metabolic syndrome is the conglomeration of severe health impacts from insulin resistance: high cholesterol, heart disease, diabetes, and a higher incidence of cancer. About 75 million Americans have metabolic syndrome — that’s 1 in 4 people. 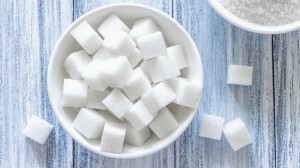 Fructose turns into fat faster than any other sugar! Fruit juice, next to soda, is one of the biggest offenders of high fructose intake (and that’s the 100% juice drinks — the ones that are 10% juice, for example, are sweetened with sucrose or HFCS). Juice has been directly correlated to increasing BMI scores in children and low-income children ingest the most, as government programs cover the cost of processed, inexpensive food. Many people argue that HFCS is much more damaging than regular sugar but that’s only slightly true in the sense that it has more fructose than glucose. But, since the average American is eating 140 pounds of sugar a year (and remember, sugar is a 50-50 mix of fructose and glucose), does it really matter? It’s not the bit of sugar in the holiday cookies you (or your patient) ate, it’s that there is also fructose in the bread they had that morning (try finding a supermarket bread that doesn’t have HFCS in it’s ingredients), in the the crackers/snack food they had that afternoon, in the soda they drink, in the spaghetti sauce out of a jar they used for dinner. Children have it even worse. It starts with the drinking formula: over 40% of formula is corn syrup solids, and over 10% is sugar (and a high sugar intake as an infant is linked to increase sugar cravings as an adult). As they get older, they are presented more and more with processed foods — fruit roll-ups, juice, candy, popsicles, lemonade, crackers, cereals…it just goes on and on. Then they go to school and with sodas in most schools, they add to the fructose load. This would be why nearly 1 in 5 children is obese (note I’m saying “obese” — the statistic for being overweight is approximately twice that). Diabetics used to be advised to use fructose as a sweetener because it didn’t trigger insulin, but you can see that the evidence is now showing that it accelerates all the health problems of diabetes, and has now stopped being recommended. And for those of us who aren’t as sick, it’s basically impossible, without a lot of intention, to grow up (and be an adult) and NOT have a high fructose intake. 1) Read the labels. Most processed foods have sugar or HFCS added. Remember that sucrose is half fructose. 2) Make as much of your own food as you can. 3) Avoid all fruit juice and soda — THIS IS KEY. Avoid crystalline fructose, which is now being added to sodas and juices — this is an even more concentrated form of fructose. 4) Take a few patented, affordable pharmaceutical grade supplements proven to stabilize blood sugar levels and increase your body’s ability to use insulin. Make sure you use a quality source – Click Here for the one I recommend. And remember not to fall for the marketing. Sugar and high fructose corn syrup are basically the same thing — and the fructose in both will, or already has, damage you faster than you think. Thank you sooo much! I am an RN have been teaching diabetics for years-diet is supposed to be consistent carbs!!!! What happens when carbs break down in our body? INSULIN, no wonder our diabetics don't get better. What scared me was my MD telling me I might be pre diabetic, have high BP already, oh, and loose weight. She gave me no nutrition counseling had to do it myself which led me to check all labels, guess what? Even bottled water has sodium and sugar in it. So your article is spot on. Think how much pharmacy companies would loose if we got better BP, etc. Thanks again. Thank you very much for such wonderful information. In India we have taken for granted that diabetes can not be cured and going on consuming insulin and spoiling our health but in your country you have all wonderful information in naturopathy but bad medical services. Your book has all informations which I wanted.I am sure with your help and guidance ,I WILL succeed in total recovery of my loving wife from diabetes.Dr, I do not want to loose her from my life as I love very much. Nice article. While I am a nurse- I did not learn this information so is very interesting. Makes me feel like I should take some nutrition courses but then again I now have you. Thanks. Just received my first free gift....news ....from Dr. Marlene on SUGARS. Answered many of my questions about sweeteners (that all manufacterers seem to put in most of their products) Learned how to read labels betterand that HOMEMADE is best ! I have neen aware of the amount of sugar in products (ie: glucose, fructose, sucrose, etc.) However did not realize the drastic effects of carbohydrates. Thanks for your detailed report ! Soda is what’s sold in vending machines and in corner stores everywhere and includes sugar-sweetened beverages as well as diet sodas. An exception might be club soda, which I’ll order on planes in lieu of other unhealthy options. So I think your option seems fine! Just check the label to see if it has carbs or sugars or calories (that’s a big clue) and if not, then you should be fine. Very valuable info, explained so clearly! Please open a clinic in the Knoxville, Maryville, Tn. area. Need more Doctor's like you. Thank You for your dedication to educate and remove ignorance, that has been in place soooo long. Grateful! As a diagnosed diabetic for 10 years and on and off insulin 3 times, I can assure you that I was an undiagnosed pre-diabetic for many years prior to that and unbeknownst to me, although I know it runs in my family history. I used and switched to many kinds of sweeteners; the last being Agavi Syrup. I really don't have a sweet tooth per-say. I know eat most cereal with no sugar and some that have less sugar than others, and wafels and pancakes are great with a little butter and if I feel like sweet I buy the jelly that is all natural fruit. I do not have that too often. I do crave potatoes in any form. I try to reduce the serving size but sometimes I get very carried away. I am excited to learn all about Smart Blood Sugar and what it entails. I just made myself some carrots, aldante' and with butter for a snack. Thanks so far for the information you have sent me. I appreciate all the time it took to do research on this. Thank you for this informative article. 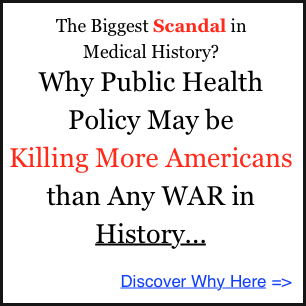 I lived through my mother's severe diabetic illness and subsequent death. My brother has been recently diagnosed with the Type II diabetes, and my husband as well. I have been diagnosed pre-diabetic and I am scared. It is my hope that I can share your information with my spouse and sibling; and possibly avert succumbing to the disease personally. I'll be 80 in 3 or 4 months and have just been diagnosed to be a diabetic. I have a slim build, I exercise a lot and don't have a craving for sugar. But my diabetes seems to be getting worse. I look at labels, but I am confused about what is acceptable. I am therefore anxious to learn more about what I'm up against. Are fruit like grapefruit and avocado ok ? Your article mentions fruit juice but not fruits. Thank you, this article was an eye opener. I have type 2 diabetes and find in hard at times to control my blood sugar. Now I know why. hi Could you please explain "soda" My bottle of soda contains carbonated water and sodium bicarbonate. and nothing else. is this ok? Shocking read but very informative. I have been diagnosed with diabetis since 2000 and have been haveing problems controlling my a1c range been 11 to 14 all these years been trying things my doctor put me on. So im going to try your method and see what happens cause i do care about my health. Have a beautiful wife and two kids that i would love to stick around to see. I was diagnosed as Prediabetic about a year & a half ago. I went to a Diatician, & she helped me understand what was going on. I stopped eating Sugar , or things that had sugar or Fructose in it, & now my Dr. said I'm almost not Prediabetic anymore. I'd rather give up Sugar, than have to take insulin shots daily.